The goals of this tutorial are to provide HCI designers an overview of compatibility principles relevant to interface design and to illustrate use of the principles in the design of both traditional and mobile computer systems. Cognitive compatibility principles have been highlighted as an area of importance in human-systems integration since the earliest days of human factors and HCI. An indication of this importance is that the first article on compatibility effects, by Fitts and Seeger (1953), was included in the book Selected Readings in Human Factors, published by HFES in 1990. Most human factors and HCI specialists are aware of the importance of maintaining compatible relations between displays and controls, but they are not familiar with the broad range of cognitive compatibility effects that have been discovered and their implications for computer interface design. We will illustrate many of the most important compatibility phenomena and explain why they occur. Finally, we will present compatibility guidelines and principles for application to design of traditional and mobile interfaces. This is an introductory tutorial geared toward academicians and practitioners who would like to learn about cognitive compatibility and its applications. No prior background relating to compatibility effects is required because we will set the tutorial within the context of human performance more generally. The tutorial should be of interest to computer scientists, industrial designers, and engineers who want to improve their designs by incorporating compatibility principles. Drs. Proctor and Vu are authors of the book Stimulus-Response Compatibility Principles: Data, Theory, and Application, published in 2006 by CRC Press. They are leading researchers on compatibility effects and have published many articles highlighting their implications for applied problems. Robert Proctor is Distinguished Professor of Psychology at Purdue. Dr. Proctor's research focuses on basic and applied aspects of human performance. He has published over 250 research articles and numerous books and book chapters. 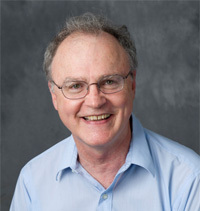 He was co-editor of the first major book on compatibility, Stimulus-Response Compatibility: An Integrated Perspective, and is also co-author of the text Human Factors in Simple and Complex Systems. He is Fellow of the American Psychological Association, the Human Factors and Ergonomics Society, and the Psychonomic Society. 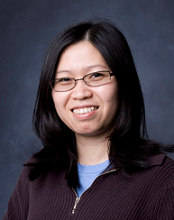 Kim Vu is Professor of Psychology at California State University, Long Beach. She is Associate Director of the Center for Usability in Design and Accessibility and of the Center for Human Factors in Advanced Aeronautics Technologies. Dr. Vu has over 100 publications in areas relating to human performance, human factors, and human-computer interaction. She is co-editor of the Handbook of Human Factors in Web Design. She is Fellow of Division 21 of the American Psychological Association and the Psychonomic Society.